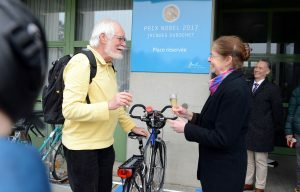 A specially reserved parking space for Jacques Dubochet’s bike was unveiled on Monday 29 January in front of the Biophore building. His specialism? Cryomicroscopy. His latest news? 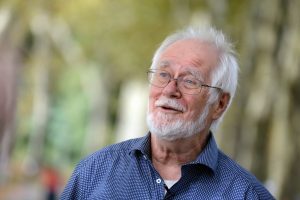 Being awarded the Nobel Prize in Chemistry on 4 October 2017. His university? 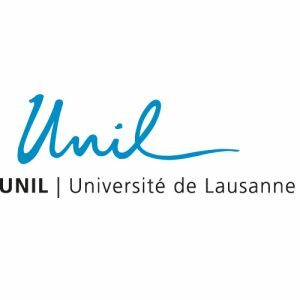 UNIL. His future? Discussing, participating and philosophising.